This is one dish I remember from my school years. 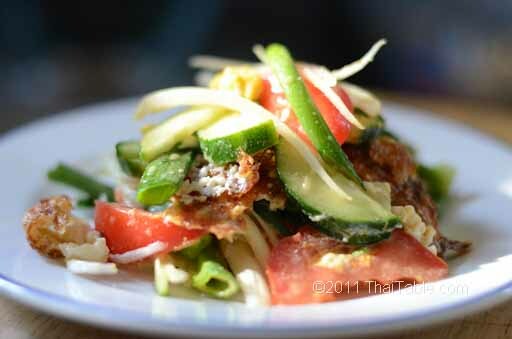 It is one of the first one that I tried to make here in the U.S. Cucumber salad is a simple dish to make. And here is the proof that not all Thai dishes are hot. 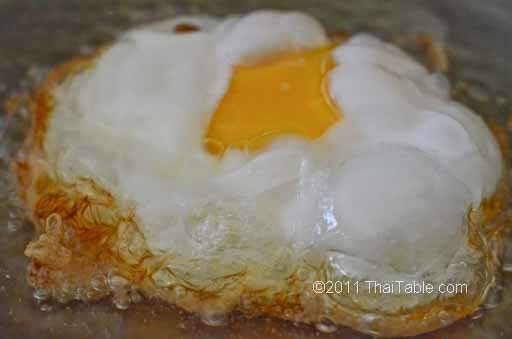 If you are including egg, fry the egg until the white part is crispy. I find that a wok is best for frying an egg. All the oil is pooled in the center. You do not need to put more oil than necessary. Splash the top of the egg with oil. Flip the egg when the bottom part is golden brown. When done, drain the oil. Cut the egg into small, bite size pieces. 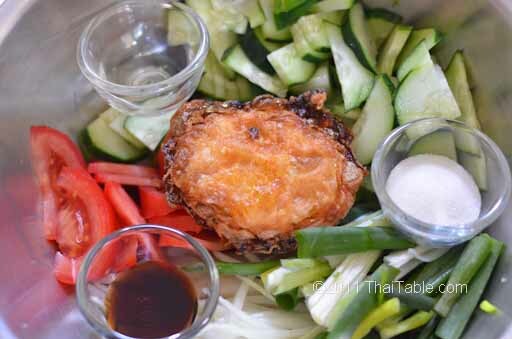 Cut up the veggies and mix everything together. When you taste it, you should be able to taste all three flavors: fish sauce, vinegar and sugar.